Monday, 28 January 2019, 6:25p.m. New Zealand will not be joining a growing number of countries which is recognising the Venezuelan Opposition leader, Juan Guaido, as the interim president, Foreign Minister Winston Peters has made clear today. But it is echoing a call for fresh elections. "It is not New Zealand's practice to make statements of recognition of Governments," Peters said in a statement, which has not been publicly issued. "Venezuela needs to decide its future through free and fair elections," Peters said in response to a request for comment. "This Government expressed concerns about Venezuela's elections in 2018, and these concerns remain." 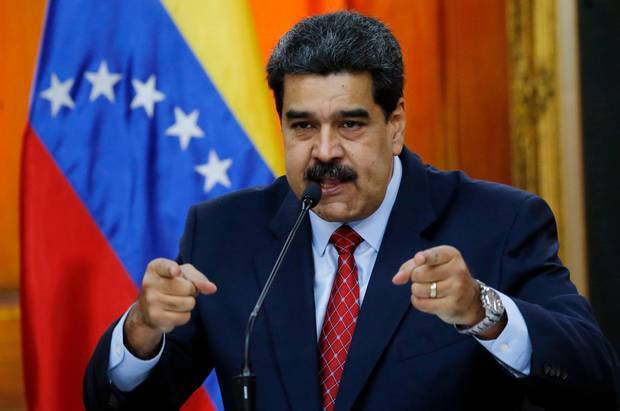 The United States at the weekend urged other countries to "pick a side" as it supports moves to unseat President Nicolas Maduro who has held office since 2013. Australia today announced it would join the US Britain, Germany, France and Spain in recognising the 35-year-old Guaido if Maduro failed to call fresh elections in eight days. Maduro took over from the late Hugo Chavez in 2013 and was re-elected in May last in elections which were widely discredited because Maduro had prevented his main opponents from standing. Under his rule, the economy has collapsed, food shortages and political turmoil have led to mass emigration, and inflation reached 1.3 million percent in the 12 months to November. On January 23, Guaido declared himself interim president, two weeks after Maduro was sworn in for a second six-year term. Venezuelan President Nicolas Maduro at a press conference in Caracas last week in the midst of a deepening political crisis. Maduro has the support of Russia, China and Turkey as the political crisis unfolds. Reuters reported that Maduro oversaw a display of Russian military hardware on Sunday, with anti-aircraft flak and tank rounds pounding a hillside near Caracas. After the May elections, Peters issued a public statement expressing concern at the result and reports that Maduro had barred the main opposition leaders from participating. There was a need to resolve the impasse through political dialogue he said. American countries) to advocate for democracy in Venezuela. National foreign affairs spokesman Todd McClay has called on Peters to do more and to issue a public statement. "New Zealand must join the international community in calling for fresh elections in Venezuela," he said. "The democratic crisis in Venezuela has reached the point where the only reasonable option is to hold fresh elections that are free from corruption and interference. "New Zealand cannot and should not sit on the side lines and watch as Venezuela descends into chaos and the people continue to have their democratic will suppressed," McClay said. "We must act consistently with our principles by advocating for a democratic solution, putting the future of their country back in the hands of the Venezuelan people and calling for a new presidential election." New Zealand had to be clear about its commitment to democracy. "Australia recognises and supports the President of the National Assembly, Juan Guaidó, in assuming the position of interim president, in accordance with the Venezuelan constitution and until elections are held. Australia calls for a transition to democracy in Venezuela as soon as possible. Australia had supported the Lima Group's early call for Nicolas Maduro to refrain from assuming the presidency on 10 January.